Display Security raising sales conversion, how? Dutch based company Gripzo has developed a patented new anti-theft bracket system offering the strongest security for smartphones on the market today. 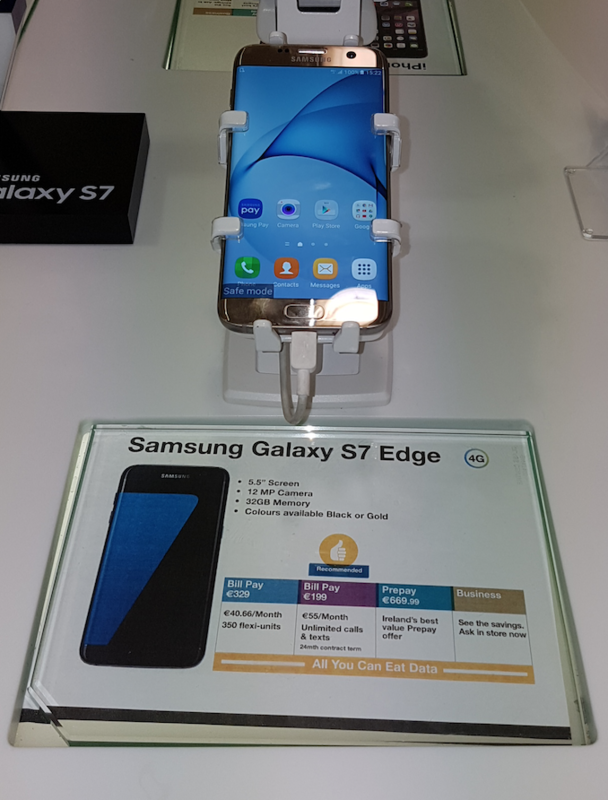 With phones like the Samsung S8 edge and S8 (also Samsung Galaxy S4, S5, S5 or S7) it is no luxury for a retailer to get the best display security system in place. Gripzo's security mounts are equipped with forged steel grips holding the smartphone in their Gorilla Grip. Smartphones are not damaged and touchscreens can be used whilst in the grips. If an interested client wants to look and feel the phone, authorised staff can unlock the phone within seconds. This feature allows the client a 100 percent phone experience without annoying sensors or cables attached to the phone. This is what Gripzo calls true product experience. Staff have valuable time with an obviously interested client. The quick release option of the Gripzo mounts have proven to increase sales conversion in stores all over the world.